For Texas Democrats running statewide, what does winning even look like?? No one in contemporary Texas politics knows the answer. It’s an experience so elusive that you have to go back more than a generation to even ask someone who held statewide office as a Democrat. That one living person?? Former Lieutenant Governor William P. Hobby, and he served during the 1980s. 1994 was the last time Texans sent a statewide elected Democrat to Austin, with Lieutenant Governor Bob Bullock. So if anyone else tells you they know beyond a doubt how Democrats can win statewide, they’ve probably been out in to pasture a bit too long. The big money totals are important, but just as crucial is the huge number of individual contributions from people across the state, and other areas of the country. But most of that money, 70 percent per the El Paso Times, came from folks in the Lone Star State, with NO contributions from any PACs (Political Action Committees) or corporations. In other words, Beto is not for sale. After a year on the road, the Congressman has already visited 228 counties and held hundreds of Town Halls with Texans, while simultaneously meeting his responsibilities to the Texans he represents in El Paso. He’s had over 90 town halls with his constituents! 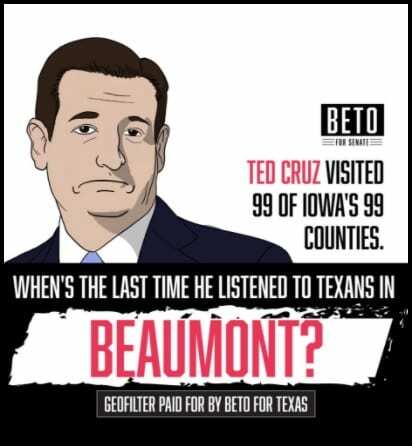 For Ted Cruz, whom officially launched his reelection campaign Monday in Beaumont, let’s just say the time spent with his constituents has been, well, a little less frequent. Though if you can manage to drudge up some national news media, you might have a chance of getting him to show up. It’s good to see the Democratic challenger putting that campaign cash to use. And make no mistake, the one thing Ted Cruz does well is campaigning. Just because he lost to Donald Trump in his bid for President doesn’t mean he’s going to roll over without a fight. 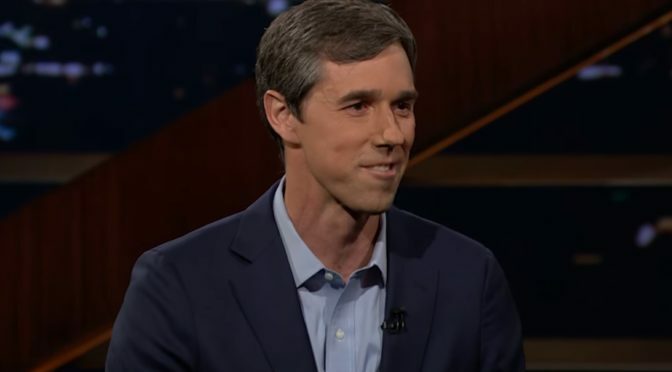 The whole strategy behind emphasizing his work to help Texans recover from Hurricane Harvey is incredibly smart, mostly because he knows that O’Rourke, from El Paso, didn’t and couldn’t play a central role in that situation. But as Cruz runs around highlighting the ONE TIME he managed to actually do his job after a natural disaster, smart Texas voters should be able to see through the smoke screen to reveal a Senator who’s overall record in responding to and working for his constituents has been abysmal. Whatever lies ahead, it looks like Texans are going to see a real competitive campaign for Senate in 2018, fights and all. And if we do know anything about Texas politics, we know that you can’t be a winner without first being a fighter. 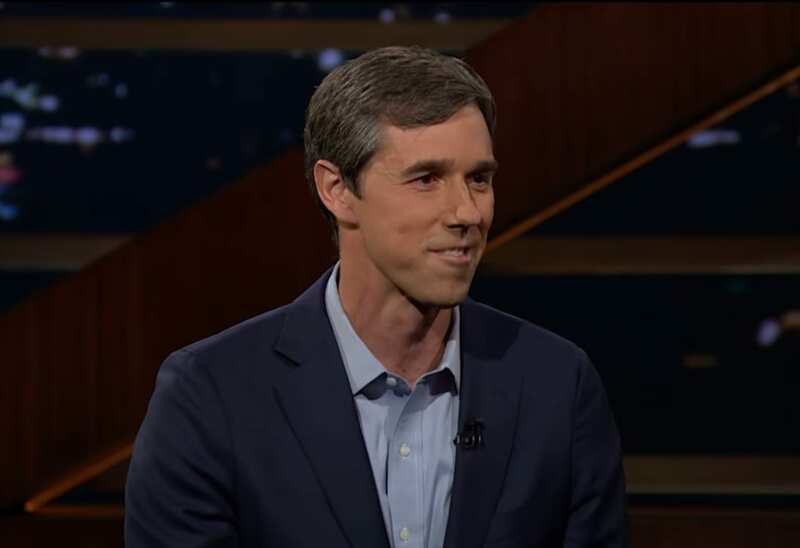 Kudos to Beto for taking some shots.